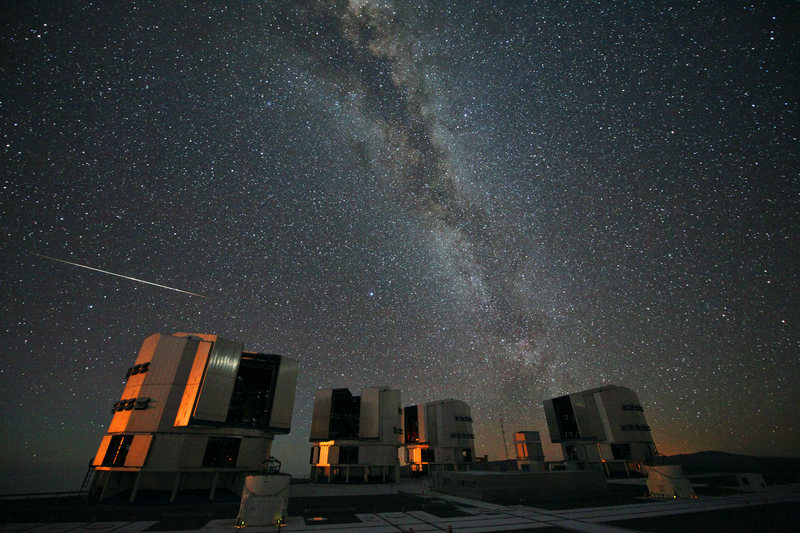 but astronomers have been curious about for years. 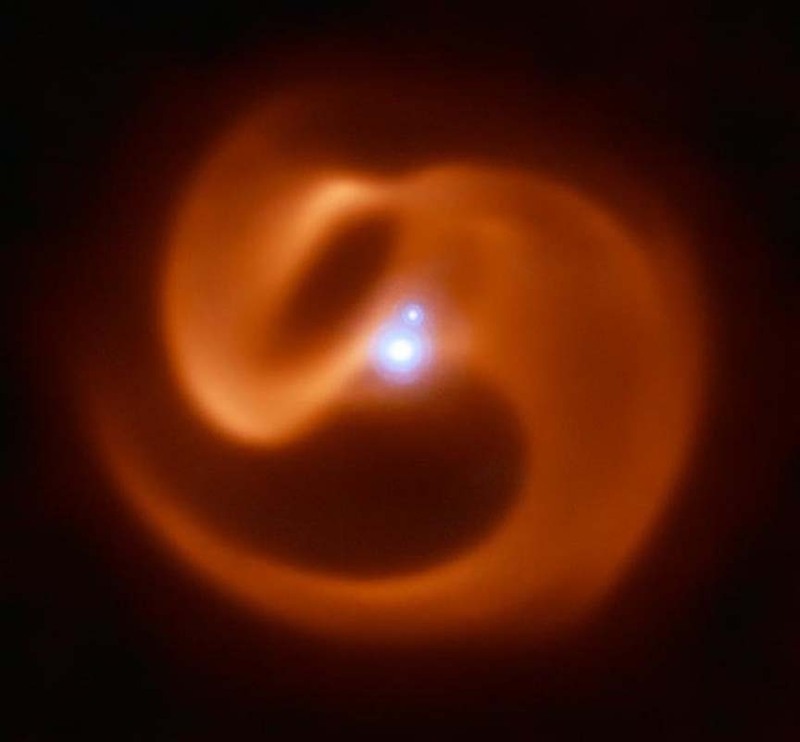 Eight thousand light years from Earth, two stars are engaged in a cosmic dance that is generating winds of 7.5 million miles per hour and sending dust swirling in brilliant, crimson trails. The astronomers who discovered this star system have named it Apep, after the ancient Egyptian snake god and emissary of chaos. Based on the image and the science, it’s a fitting name. The extremely hot, extremely massive, extremely bright stars—known as Wolf-Rayets—that compose the system are rotating far more rapidly than they’ve been known to do in our galaxy, where various conditions tend to slow them down. Stranger still is that the dust, which is expanding outward at the relative snail’s pace of around a million miles per hour, seems to be immune to the solar wind being generated by the stars. In the case of rapidly rotating Wolf-Rayets, we’re talking about long-duration gamma-ray bursts (two seconds or more)—“the most powerful known explosions in the universe,” writes Pope, capable of peeling back ozone and wreaking havoc on the Earth’s climate, when the burst reaches us. At the point the Earth goes to hell, the Trump Troops will say we told you the problem wasn't man made. 7,500,000 mph. That's gotta be over the speed limit. Clear as a bell. Have your had your eyes checked? Cleaned your screen?